Austria. Salzburg. Matthaus Lang von Wellenburg, AD 1522. Silver Batzen. Size : 24.4 x 25.0 mm. Weight : 2.85 grams. Grade : VF with some typical areas of weakness, including the last digit in the date. 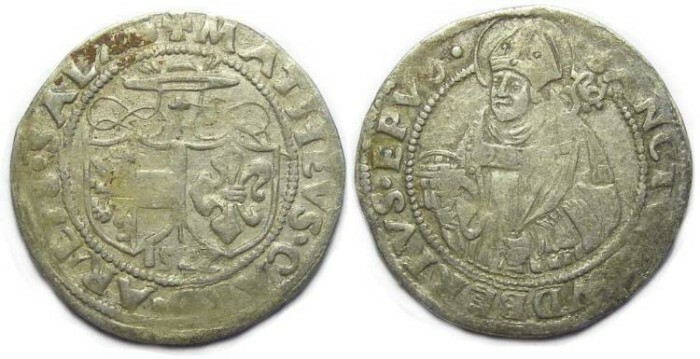 Obverse : Arms, with the date 1522 below, and MATHEVS CARD ARIEPS SALZB around.